NEP Solar AG has received orders for delivery of parabolic trough collectors to two process heat installations with leading milk industry companies in Switzerland. Both projects will be commissioned in summer 2012. NEP Solar will deploy its new PolyTrough 1800 collectors, which have a 50% larger aperture than the PolyTrough 1200 and are 10% more efficient. One of the installations was ordered by Emmi Group, the largest Swiss milk processor. The concentrating collector field has an active area of 627m2 and is mounted on the flat roof of the "Tête de Moine" cheese curing and ripening plant in Saignelégier in the Swiss Jura. The solar process heat will be injected in the existing hot water circuit and offset 30,000 liters of heating oil (79 tons of CO2) per year. 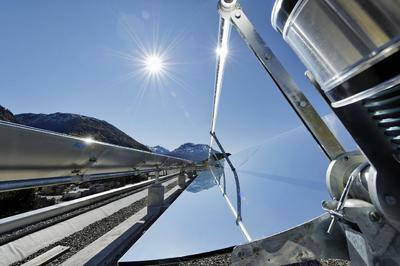 Emmi already uses solar process steam generated by a NEP Solar collector field in Bever, eastern Switzerland, which was financed and installed 2011 by the Swiss utility ewz from Zürich. Ewz owns and operates the field and supplies the steam to the Emmi factory under a 15 year heat supply contract. 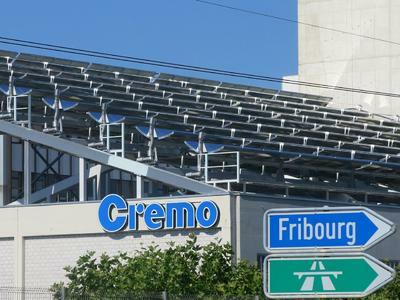 The second project is with Cremo SA in Fribourg where the solar process heat installation will replace a significant amount of fossil fuel used for coffee cream production. 580m2 of NEP Solar collectors will be installed on an inclined roof structure in a very compact arrangement to maximize solar yield for the available roof surface. Solar heat at 150°C will be generated year round and replace 25,000 liters of heating oil (65 tons of CO2) per year. 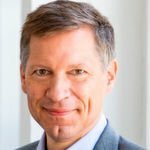 Stefan Minder, Chief Executive Officer of NEP Solar AG, commented: "We are pleased to work with two major Swiss milk industry companies. This collaboration demonstrates the strong commitment in Switzerland to sustainable industrial operations." With these latest industrial process heat projects and two additional smaller collector fields to be commissioned in 2012 in Switzerland NEP Solar continues the successful commercialization for industrial use of its solar process heat collectors. NEP Solar AG is a leading developer and supplier of concentrating solar thermal collectors for industrial processes, solar cooling and cogeneration. 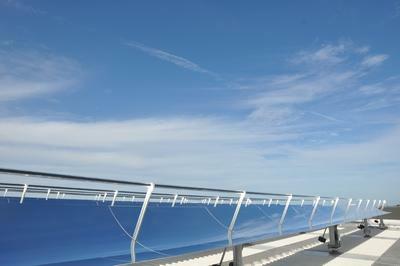 NEP Solar's PolyTrough collectors generate heat at up to 250°C at high efficiency and at competitive cost. NEP Solar was founded in 2008 and is headquartered in Zurich, Switzerland. Please visit www.nep-solar.com for further information.